Equal monthly payments with built in price protection. Our SmartCap Budget Plan gives you value by evenly spreading your payment over 12 months while allowing you to enjoy the benefits of Capped Price Protection. 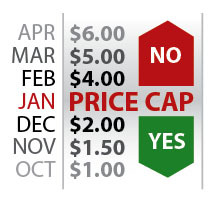 Capped Price Protection provides delivery at a predetermined price, so it won’tgo higher than the designated price cap for the entire year. If the daily market price drops below the cap price on the day of delivery, your price will drop as well. In order for VEO Energy Systems to provide this price protection, we are charged an “insurance” fee and pass that cost to you. Your 12 predictable payments are based on your annual fuel usage and include the small insurance fee. If prices fall during the year, you will build a credit on your account which can be rolled forward into a future plan or refunded. You may include your burner service plan or propane if desired. Please click here to view current prices or contact one of our customer service representatives for more information. Pay On Delivery with up to 10 day credit terms. Instead of pre-paying for your annual fuel supply this plan allows you to pay for your fuel as it is delivered with up to 30 day terms. Your delivered fuel price will be capped and if our market price is lower than your capped price on the day of delivery, you get the lower price. In order for VEO Energy Systems to provide this price protection, we are charged an “insurance” fee and pass that fee to you. You must pay for the price protection fee at the time of enrollment. Click here to view current cap prices or enroll in a plan or contact one of our customer service representatives for more information. * Prices shown are for illustration purposes only. Pay in advance for the best price. 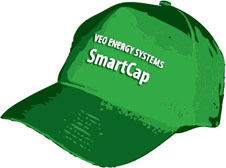 Some customers prefer to pre pay for their fuel in advance in return for VEO Energy Systems lowest possible capped price. Your fuel cost cannot exceed your capped price per gallon. If our daily market price drops below your capped price on the day of delivery, your price will drop as well. This will show up as a credit on your account at the end of the contract and can be rolled forward into a new plan or refunded. In order for VEO Energy Systems to provide this price protection, we are charged an “insurance” fee and add this cost to your plan.